The Annecy International Film Festival has been taking place in the town of Annecy, France since its inception in 1960 and was originally held every two years until its popularity surged, becoming an annual event in June 1998. While the festival features a competition, it also highlights various animation techniques with numerous screenings and exciting panel discussions from filmmakers. Pixar Animation Studios has always held large presentations for their upcoming films during past festivals and this year is promised to be even bigger. Attendees of the 2017 Annecy Film Festival will be treated to never-before-seen footage of Coco, a presentation of the short film, Lou and the French premiere of Cars 3. In addition to the above-mentioned presentations, there will be signing sessions with director Lee Unkrich, co-director Adrian Molina, producer Darla K. Anderson, director Dave Mullins and producer Dana Murray. As the Pixar-filled day comes to a close, the festival will hold a public outdoor screening of Cars. See below for a complete list of scheduled Pixar events. On Friday 16th June, 2017, the Annecy International Animation Film Festival is welcoming Pixar Animation Studios to present screenings that are sure to delight audiences. 10:00 am: Presentation of never-before-seen footage from Coco and the short Lou. Come and meet director Lee Unkrich and producer Darla K. Anderson, who previously teamed up for 2010’s Oscar and Golden Globe – winning feature Toy Story 3. They will present footage, along with co-director Adrian Molina (story artist on Monsters University), from their upcoming feature Coco, in U.S. theatres 22nd November, 2017. From the studio behind the shorts Lava and recent Oscar winner, Piper comes Lou. 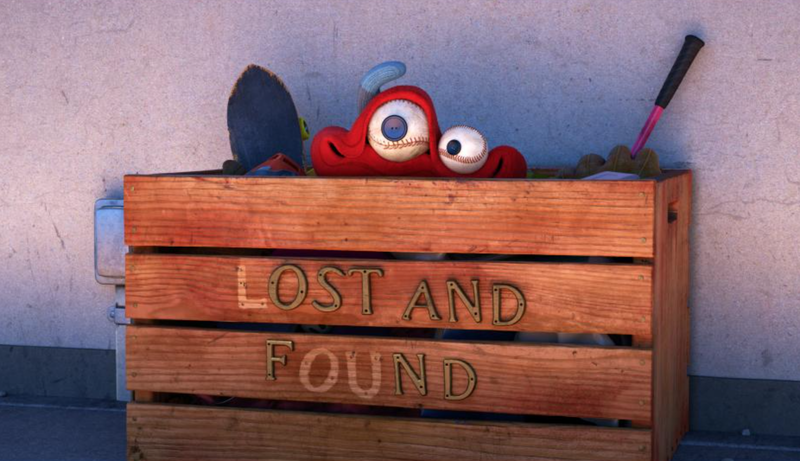 Director Dave Mullins and producer Dana Murray will be in Annecy to present their short that tells the story of what happens when a toy-stealing bully ruins recess for a playground full of kids. Lou opens in U.S. theatres on 16th June, 2017, in front of Cars 3. 11:30 am: "Disney Art Challenge" Ceremony, followed by the French Premiere of the new Disney•Pixar film Cars 3 (English version with French subtitles). Cars 3 is directed by Brian Fee (story artist Cars & Cars 2), produced by Kevin Reher (A Bug’s Life & La Luna short) and co-produced by Andrea Warren (LAVA short). For the 5th edition of the "Disney Art Challenge", students have been invited to create a piece on the theme “road trip”. The winners will receive their prize from the director and producer of Lou. 1:00 pm: Signing Sessions Signing session with Lee Unkrich, Adrian Molina, Darla K. Anderson (Coco) and Dave Mullins and Dana Murray (Lou). 10:30 pm: Public outdoor screening of Cars, directed by John Lasseter, grossed nearly $462 million worldwide. It was nominated for two Oscars and one Golden Globe, winning the first ever Golden Globe for Best Animated Feature Film. The theatrical release of Lou and Cars 3 is scheduled for June 16, 2017. The theatrical release of Coco is scheduled for November 22, 2017. Pixar will present never-before-seen footage from Coco at the 2017 Annecy International Film Festival, including screenings of Lou and Cars 3.